Please visit our partner and affiliate sites. 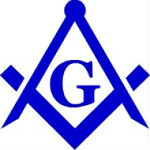 The Hummel Family are proud members of the Grand Lodge of South Dakota.Freemasons are men of honor and integrity who believe in honesty, compassion, truth, knowledge and tolerance and who believe in a Supreme Being. Our group is known for our charitable activities, especially those that protect our children.